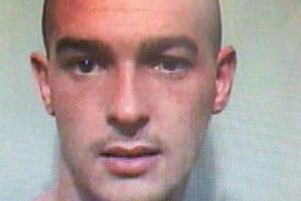 A drug driver, who was handed a three year ban by Burnley Magistrates, has moved away from Lancashire. A chronic obstructive pulmonary disease sufferer was caught driving with 16 times the specified amount of cocaine's main metabolite in his system, a court heard. Scott Parker also had two other drugs, including cocaine, in his blood and all three were " high readings," according to the chairman of the Bench. Burnley magistrates were told how 41-year-old Parker was caught after he was stopped by police in Colne at 3.30am because he had no insurance. His driving licence had also expired. Parker, from Colne, has now moved to Rhyl for a fresh start because he wanted to get away from his peer group in Pendle and didn't know anybody in Wales. Mr Nick Cassidy, defending Parker, said he had a relevant previous conviction. He appeared regularly in court before 2014, but had made real changes in his personal circumstances. The solicitor said the defendant, formerly of Curzon Street, had engaged with Inspirel,the drug treatment service. He had been with a peer group on the day of the offences. Mr Cassidy continued :" He accepts that some of that peer group were smoking drugs and he accepts he relapsed and had a smoke with them. He accepts he then drove the vehicle." The solicitor said the defendant suffered from COPD and his inhalers were at a friend's half-a-mile away. He continued: "He made the very foolish decision mistake of getting into the vehicle." Mr Cassidy added: " He has now moved to Wales, because he wants to build on the efforts he made previously. "He accepts whilst he is in Colne with that peer group there is always that risk. He has made a fresh start. He doesn't know anybody in Rhyl. That's exactly why he has moved there." The defendant admitted three counts of driving with a proportion of a specified controlled drug above the specified limit on Seldon Street, Colne, on Monday, January 22nd. One involved Tetrahydrocannabinol at 2.4 microgrammes in a litre of blood. The legal limit is two. One related to cocaine at a reading of 65 microgrammes against the specified limit of 10 and one involved Benzoylecgonine at 800 microgrammes when the specified limit is 50. He also pleaded guilty to no insurance and no licence. He was banned for three years and fined £120, with £85 costs and a £30 victim surcharge.